I recently had the privilege to sit down with Dan Vinson, (aka Monkii Dan) who is the co-founder of monkii bars suspension trainers. In a world of me-too generic suspension systems, monkii bars are in a class all their own. The level of craftsmanship and detail that’s gone into these things is unprecedented. That’s why they are the only commercially available suspension trainer I use along with my homemade Bowline and Prussic trainers. 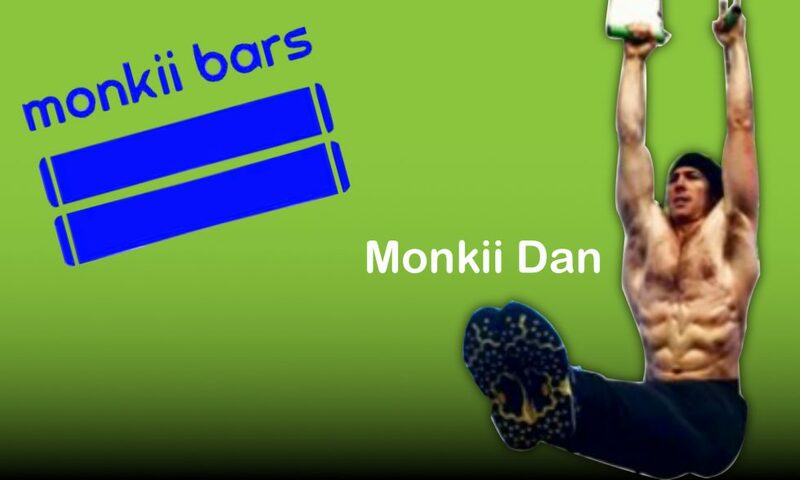 Monkii bars are a fantastic product but that’s not really why I hold Dan and his products in such high esteem. Monkii.co is one of the few companies that “get it” when it comes to seamlessly integrating fitness and lifestyle freedom. 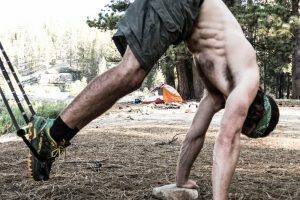 The monkii Instagram and Facebook page read more like a travel blog highlighting monkii workouts all around the world. Many of their commercials and teasers define them as an innovative fun-loving company. Check out their YouTube page here. I’ve known about monkii bars since their first Kickstarter campaign 4 years ago and the company has continued to impress me with their innovations in both their products and vision about what a fitness lifestyle is about. Dan doesn’t need an ab machine. He IS his own machine. There’s a lot of great things over at monkii.co and their iOS and Android app are great for anyone who uses a suspension trainer. However, I was always curious about the story behind the vision and how Dan Vinson became monkii Dan. That’s why I was thrilled to sit down and chat with him last week to get his story. We dive into the story behind monkii bars, new products in the works and even touch on one of Dan’s workouts that was probably illegal but super cool. Check out the podcast down below or subscribe through Apple and Stitcher.